To save a Garden Guide to view later please log in or create an account, it's free and only takes 30 seconds. It can be hard to keep track of all the information you need when you are starting a vegetable garden. Our Custom Garden Guide tool will allow you to create a guide with only the information you need for your garden. 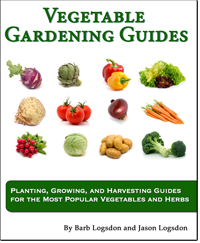 You can also get all of our vegetable garden guide information on your iPhone or iPad. Check out the iTunes store page for our Vegetable Guide App for more information. Enter a name you can remember this guide by. Simply check the check box of the guide sections you would like to view in your Custom Garden Guide. Check the check box of the plants you would like to view in your Custom Garden Guide.